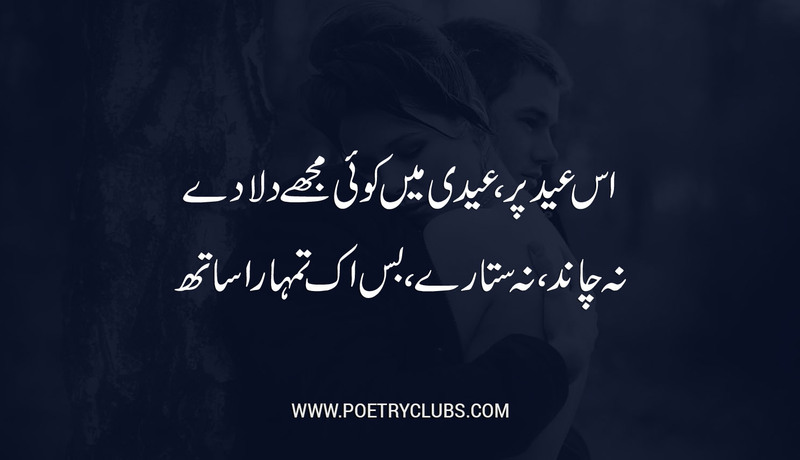 Read and share Eid Poetry, Romantic / Love Shayari & Urdu Ghazals with your friends, family and beloved. Every religion has certain customs that come every year and people celebrate and joy. In Islam, Eid is one of the big occasion that comes after moth of Holy Ramadan. Eid Ul Fitar is the blessing of God and gift for Muslims. Muslims celebrate this event with full of energy and joy. Different people elect different ways to celebrate this holy event. 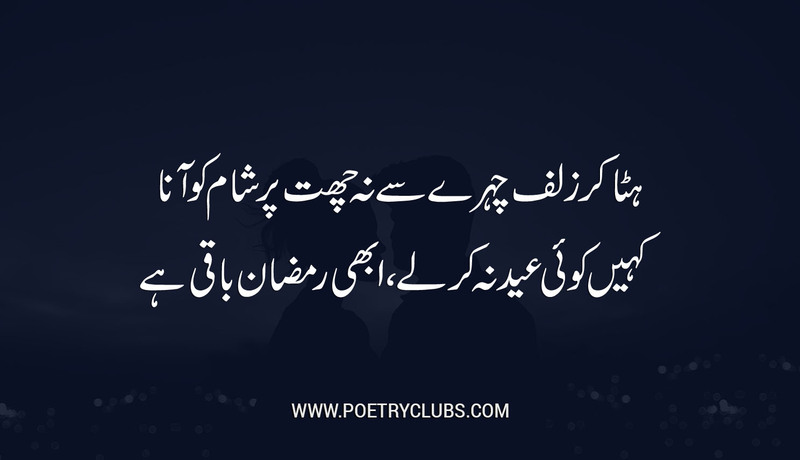 Among all celebration ways, sharing of Eid Poetry, Ghazals is one of the most popular way. 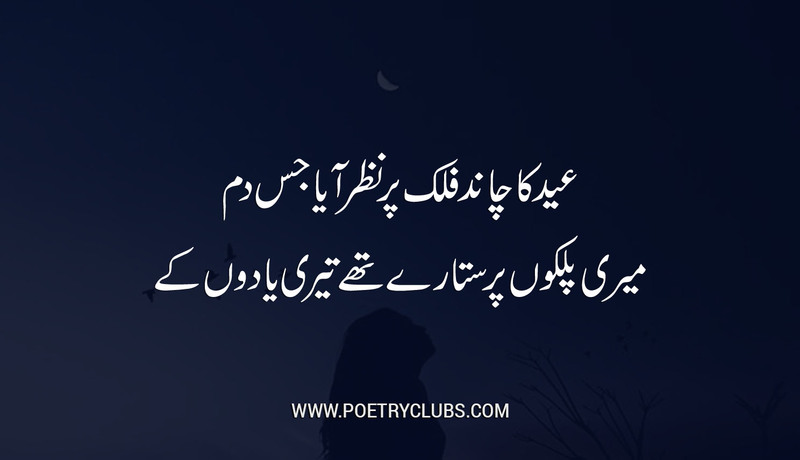 Poetry has magical words that can express your all feeling in 2 lines. 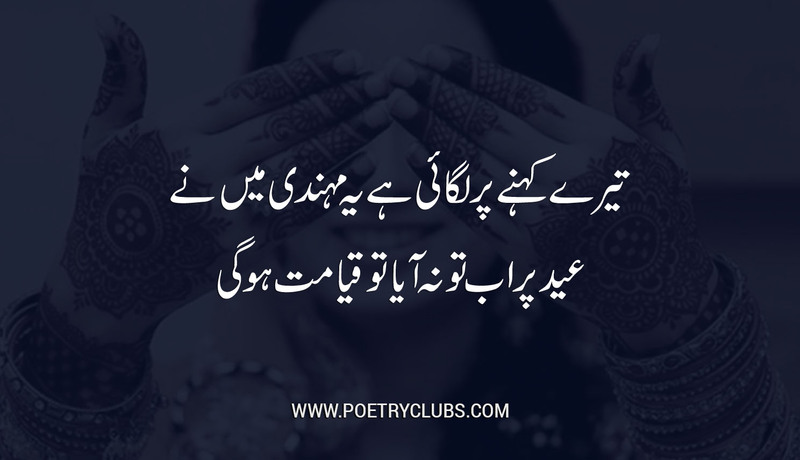 Here is a largest collection of 2 lines Eid Poetry, Ghazals, Eid Shayari, SMS, and much more for you. Eid Jb Aati Hy tw Milny Ka Imkaan Rhta Hy ..! 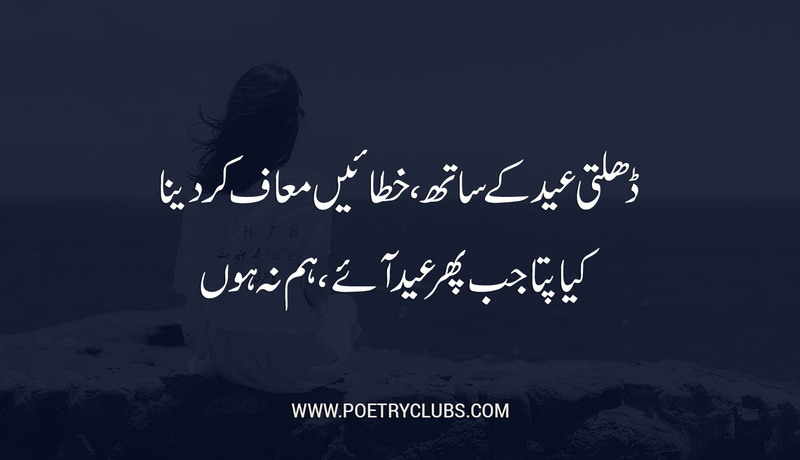 Mil Kr Kia Khen Ge, Soch Kr Dil Pershan Rhta Hy ..! 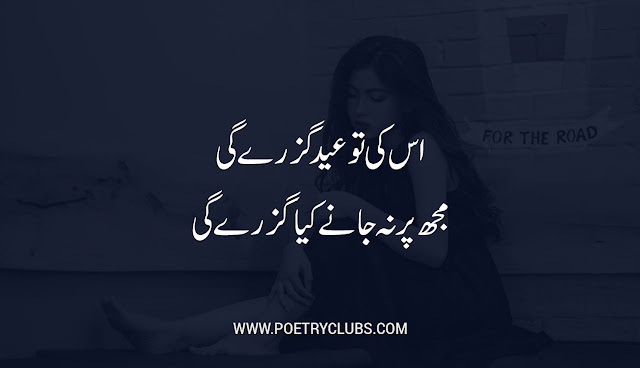 Hata Kr Zulf Chehry Sy Na Chatt Pr Shaam Ko Aana ..! 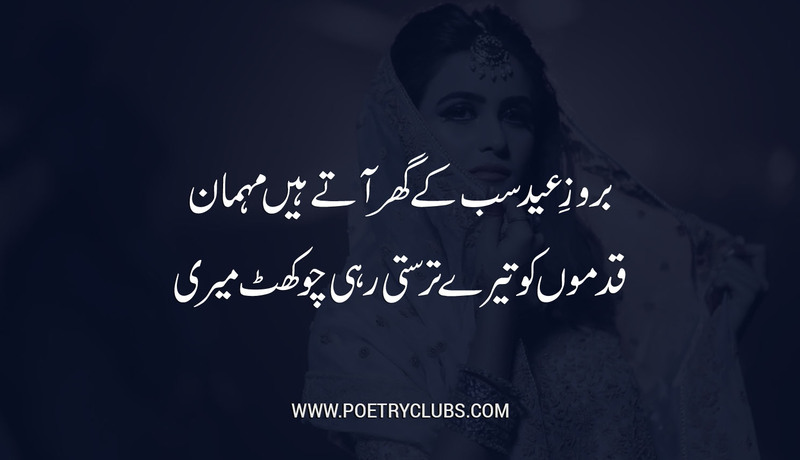 Kheen Koi Eid Na Kr Ly, Abi Ramzan Baaqi Hy ..! 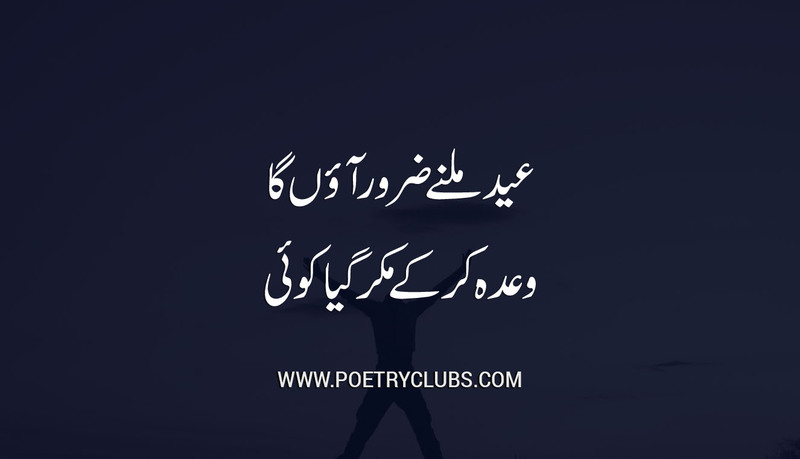 Dhalti Eid Ky Sath Khatayen Maaf Kr Dena ..! Kiya Pta Jb Phir Eid Aaye, Hum Na Hun ..! Us Ki Tw Eid Guzry Gi ..! 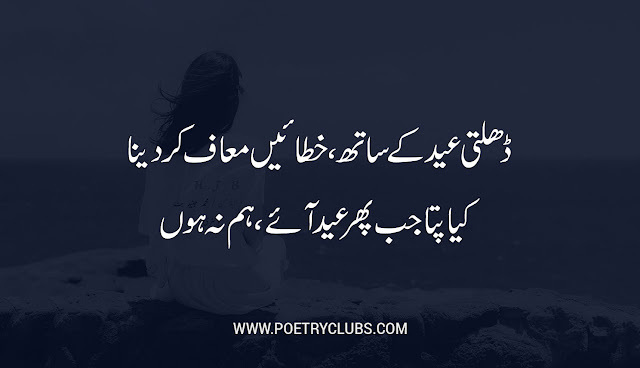 Muj Pr Na Jany Kia Guzry Gi ..! Kis Munh Sy Khty Ho Eid Mubarak ? Tum Aaye ? Mily ? Galy Lgaya Muje ? 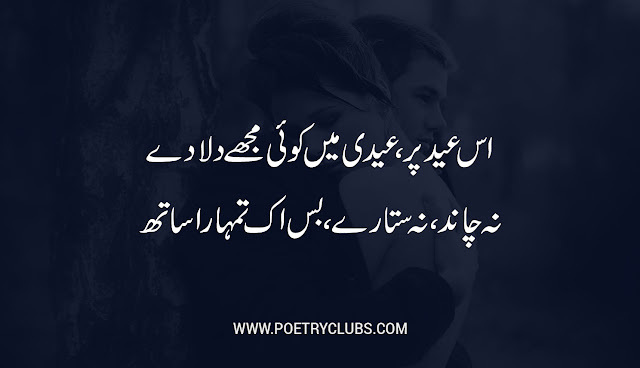 Jin Ky Milny Ka Aasra He Nahi ..! 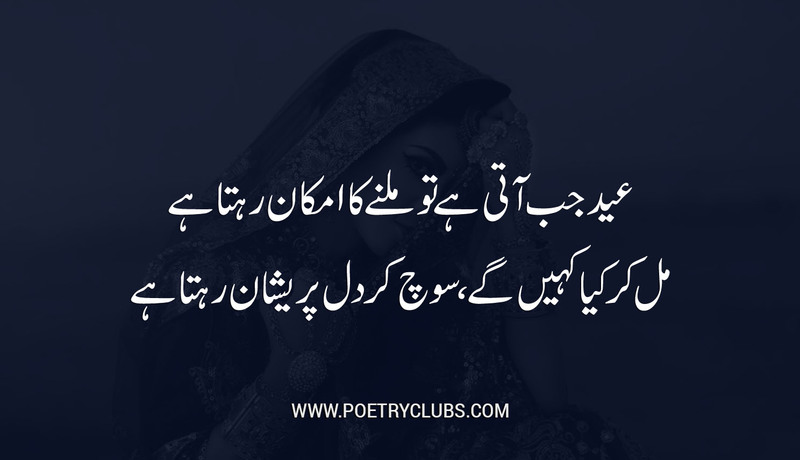 Eid Un Ka Khyaal Laati Hy ..! 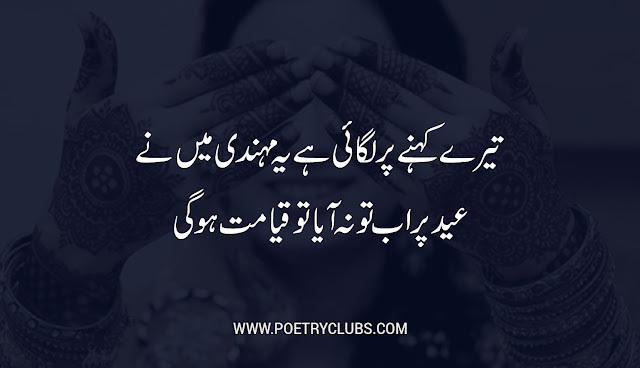 Tery Khny Pr Lgai Hy Ye Mehndi Me Ny ..! 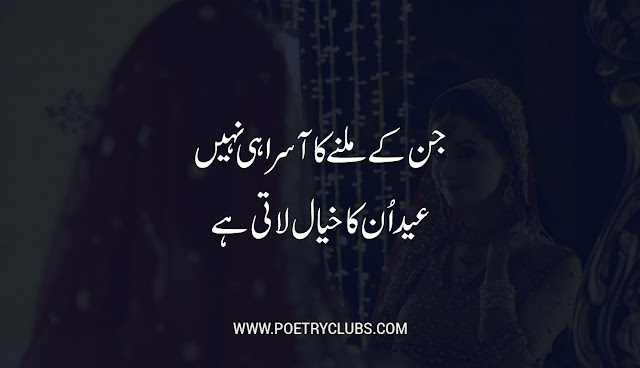 Eid Pr Ab Tu Na Aaya Tw Qayamt Ho Gi ..! Is Eid Pr, Eidi Me Koi Muje Dila Dy ..! Na Chaand, Na Sitaary, Bas Ik Tumhara Sath ..! 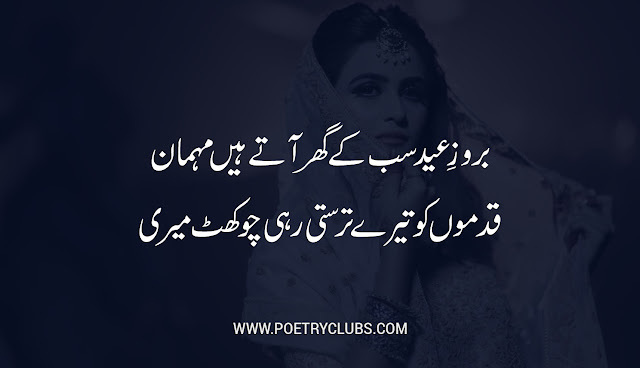 Broz e Eid Sab Ky Ghr Aaty Hen Mehman ..! 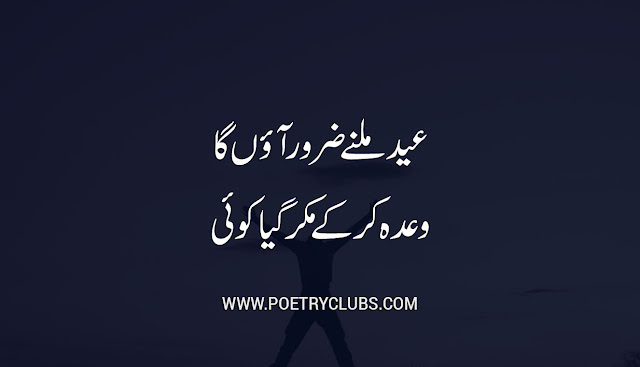 Qadmoo Ko Tery Tarasti Rhi Chokhat Meri ..! 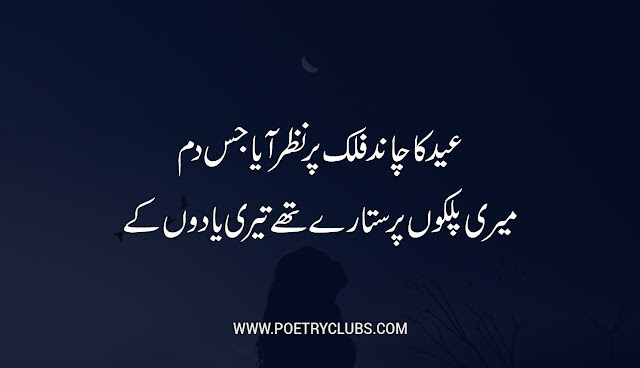 Eid Ka Chand Falk Or Nazr Aaya Jis Dam ..! Meri Plkon Pr Sitaary Thy Teri Yaadon Ky ..
Eid Milny Zaroor Aaon Ga ..! Wada Kr Ky Mukr Gya Koi ..!